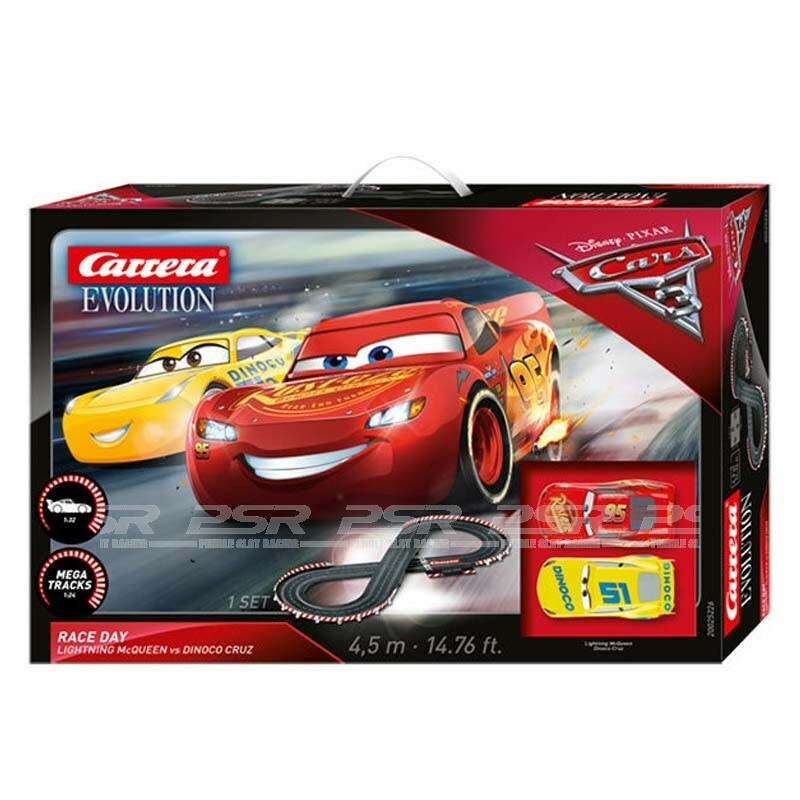 Carrera 1/32 Disney Pixar Cars - Race Day Set. 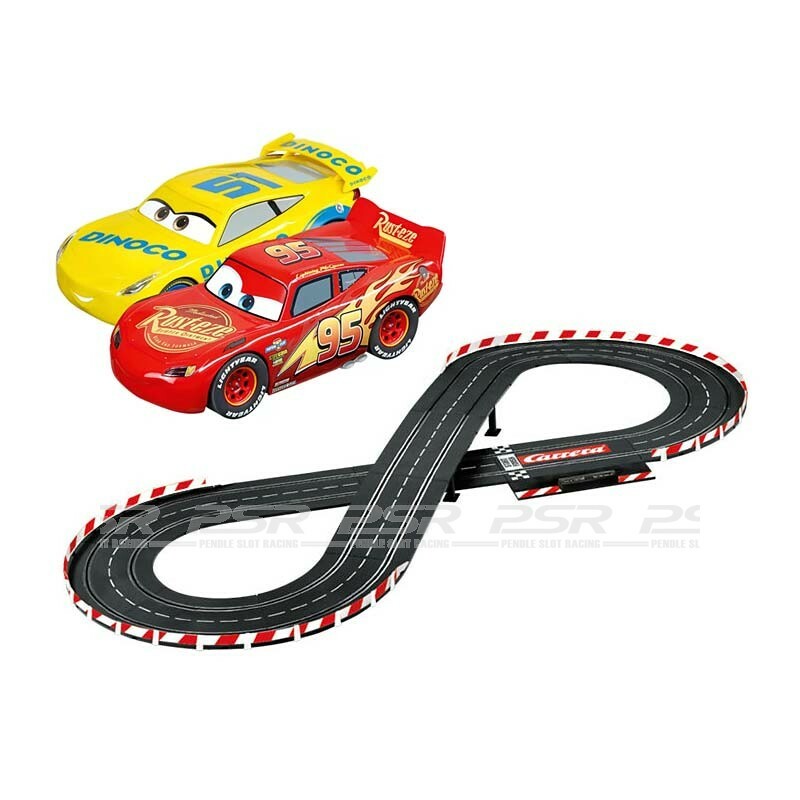 Temperamental racers Lightning McQueen, the star of Disney·Pixar Cars, is ready for a new race. The 4.5-metre/14.76 ft. Carrera race circuit provides plenty of room for all action overtaking manoeuvres and high speed acceleration. Once again, Lightning McQueen has to prove himself against new opponents out on the track and be daring and skilful in new race situations!